CPES2018 Innovation Awards Recognize Canadian Excellence In Flexible And Hybrid Electronics - The Independent Global Source for the Flexible and Printed Electronics Industry. 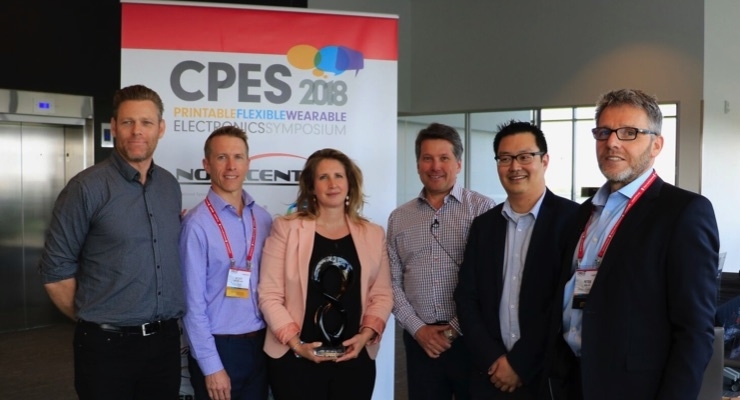 The intelliFLEX Innovation Alliance presented its annual CPES Innovation Awards and its first Women in FHE STEM Award on May 24 at CPES2018, Canada’s premier conference and trade show exhibition for printable, flexible and hybrid electronics. 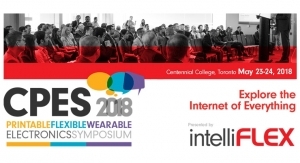 CPES2018 ran from May 23-24 at Centennial College’s Conference Centre in Toronto. The winner of the first Women in FHE STEM Award is Michelle Chretien, the director of the Centre for Advanced Manufacturing and Design Technologies at Sheridan College. She also has a record of accomplishment at the Xerox Research Centre of Canada, where she most recently served as program manager, Novel Electronics and Electronic Materials. The winner of the CPES2018 New Product Innovation Award is TUKU in partnership with Array Marketing. These two companies partnered to create Array Lift to Learn & Tap to Learn, powered by TUKU’s digital content platform. These retail display units provide shoppers with an interactive experience that engages and assists them in choosing products that best suit their needs. The winner of the CPES2018 Commercialization Award is Jones Packaging. Jones was recognized for its work to integrate Thinfilm Electronics NFC tags into folding cartons on high-speed production lines. While applying a tag is not that difficult, the challenge comes when scaling up for mass production—in this case, 15,000 units per hour. Working with its supply chain partners, Jones modified its processes and equipment to ensure no damage, validate each tag and automatically sort faulty tags. The Commercialization and Product Innovation award winners are also involved with the intelliPACK Leadership Council—a joint industry initiative between intelliFLEX, PAC Packaging Consortium and companies across the retail/packaging supply chain. The winner of the Startup of the Year Award is XCo Tech. XCo’s globally recognized XPS and BioAnalytics platforms collect and intelligently interpret data to improve sport performance, concussion assessment and chronic disease management. The system includes a mobile app, analytics software, cloud data storage, and the XPS wearable tag and radio-frequency tracking hub. XCo emerged the winner from CPES2018’s Startup Pitch Competition, in which seven startups mentored through intelliFLEX had seven minutes each to wow a panel of judges from Ontario Centres of Excellence, MaRS Discovery District and the Business Development Bank of Canada. 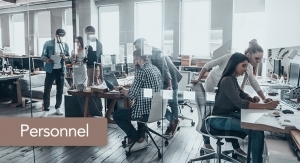 “While all our startups presented impressive business plans and compelling products, XCo best demonstrated the qualities sought by the judges, in terms of the strength and viability of its business plan and the market potential for its technology platform to grow a successful and sustainable business,” said Kallai. The other startup finalists were Acquire Industries, Brilliant Matters Organic Electronics, Kinesix Sports, Nanogrande, Pliant Power Devices and Ynvisible.